Hulu’s first VR app is a mix of 360-degree content and traditional video in a virtual living room. Hulu is making good on a months-old promise to dive into virtual reality with an app for Samsung’s Gear VR headset. 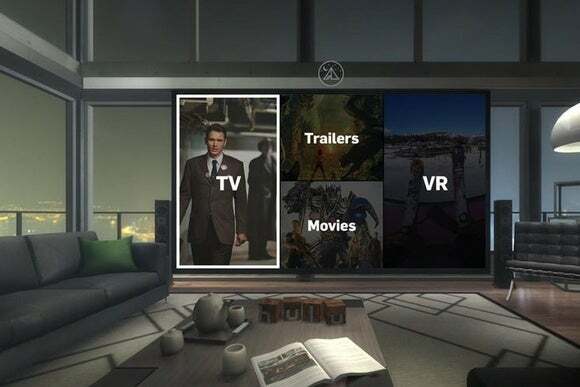 Similar to Netflix’s Gear VR app, Hulu lets users watch 2D videos inside a virtual living room, though the app also lets users switch to a movie theater or scenic beach, with interactive Easter Eggs and adjustable lighting throughout. Beyond the 2D viewer, Hulu is also launching with more than 25 videos in 360-degrees, with partners such as Discovery, National Geographic, Showtime, and Viacom. Some of those videos are already available through other sources, Variety notes, but Hulu has also produced an original video with RocketJump and Freddie Wong called “The Big One,” which puts users in the middle of a meteor shower on Earth. National Geographic and a couple other studios are chipping in with exclusive VR videos as well. Those videos will be available for free. But to watch Hulu’s regular catalog in virtual reality, you’ll need a premium subscription, which costs $8 per month with ads, or $12 per month without them. Down the road, Hulu says it will add more environments to play in, along with more 360-degree shorts and films. And while the app only works with the Gear VR for now, Hulu says support for more devices and platforms is on the way. Why this matters: While the app itself is a nice perk for Gear VR owners, more interesting is Hulu’s apparent commitment to producing even more VR video. It’s encouraging to see streaming video heavyweights like Hulu, YouTube and Amazon wrap their heads around this new art form, as it’s going to take a lot of effort to figure out how to do it well.